Place the pear into a small saucepan and add some water. Cook gently over a low heat until the pear is tender. Meanwhile, cut the avocado in half lengthways, remove the stone and store the remaining half in the fridge, cut side down on a plate for 1-2 days. 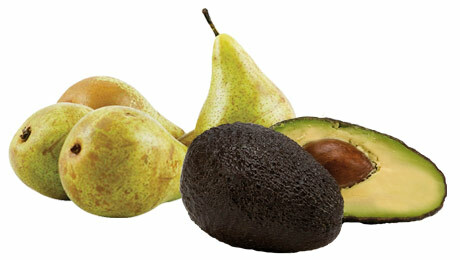 Transfer the fruit and water into a food processor and spoon in the avocado. Puree until smooth and serve immediately.